BeBossier.com is written and edited by a team of people who love Bossier City, Louisiana. We discover compelling stories within our city and parish, so that we can share our passion with you. Our goal is to showcase all of the incredible resources and amenities Bossier has to offer. An honors graduate from the journalism program at the University of Tennessee, Jessica Carr is now the editorial director for Be Bossier. She is also working as the Communications Assistant for the Bossier Chamber of Commerce. The new job prospect brought her from the hills of Tennessee to the bayous of Louisiana. She has had work published in a variety of publications including Cityview Magazine, Knoxville News Sentinel, Spoon University, UT’s alumni magazine Torchbearer, Forum News and CityLife Magazine. As a self-professed foodie, Jessica can’t wait to eat her way around Bossier City. When she isn’t working you can find her in an artsy theater watching an indie film or testing out her baking skills in the kitchen. 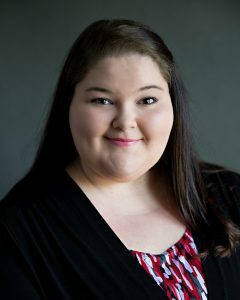 Amanda Crane is the Digital Communications Coordinator for Bossier Parish Community College. She began her career in Bossier City at the Bossier Press-Tribune in 2010. 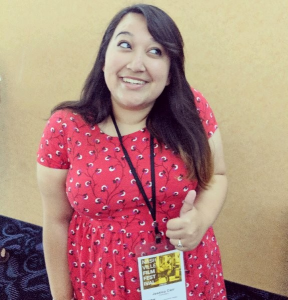 She was named Managing Editor in January 2015 and served as Community Editor of the publication until July 2018. Amanda is an award winning journalist, receiving 13 Louisiana Press Association awards during her time at the Bossier Press-Tribune. She is a graduate of Northwestern State University in Natchitoches, where she received her bachelor’s degree in journalism and photography. Amanda is the wife of Gerrit Simmons and mother of Kayleigh. She enjoys spending time with her family, doing studio photography and traveling. She aspires to one day have a byline in a national publication. Lydia Earhart is a writer, who loves the creative people and inspiring stories she has heard throughout her career in journalism. After writing and editing for a variety of publications in Louisiana, Chicago and New York, she followed her heart to North Louisiana to plant roots in Sportsman’s Paradise. Though not quite the avid fisher or hunter, Lydia does enjoy the outdoors by attending festivals and staying active in Bossier City – except during mosquito season. Sean Green is Publisher of BIZ. Magazine, the premier source for business news in NWLA. A native of south Arkansas, Sean relocated in 2008 to take over as editor of the Bossier Press-Tribune. In 2013, he helped launch BIZ. Magazine. 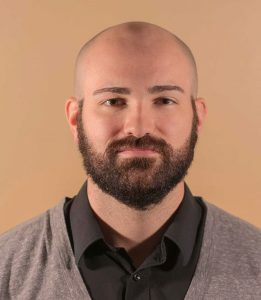 Sean serves as communications co-chair for YPI, is a marketing committees member of the Bossier Chamber of Commerce, and is a past board member of the American Advertising Federation of Shreveport-Bossier. He and his wife, Jamie, foster kittens for Shreveport Bossier Animal Rescue, and Sean loves to work out, read comic books, and watch soccer. Jessica Hemingway is the Director of Communications for the Bossier Chamber of Commerce and previously contributed content to publications including The Natchez Democrat, The Opelousas Daily World, The Daily Advertiser and The Shreveport Times. Her favorite thing about Bossier is the “go get ‘em” attitude of the leadership, as they work to simply get things done. 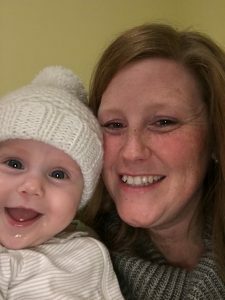 Jessica is married to a weatherman and they are the proud parents of one-year-old Mollie Claire as well as dog-parents of two dachshunds, Hank and Leo (a competitive wiener dog racer). 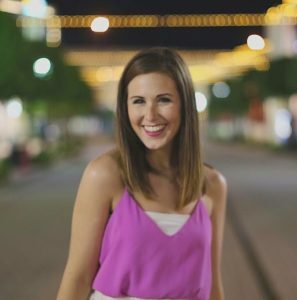 Kristen Morgan, born and raised in Shreveport-Bossier, graduated from LSU Shreveport with a Bachelor’s Degree in Mass Communications with a concentration in Public Relations. She’s an alumna of Phi Mu and currently the Leasing Agent and Marketing Manager at Residences of Springridge Apartments in Shreveport. Kristen spends most of her free time planning her wedding, spending time with her fiancé and their three dogs and watching The Office. Caroline Reed is an Airline High School graduate that was born and raised in Bossier City. She is a current senior at Baylor University studying journalism public relations with a business concentration. 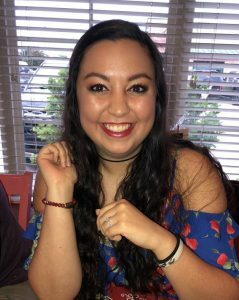 She is a member of the Chi Omega fraternity as well as being a Baylor Admissions and Experience Representative (B.E.A.R.) 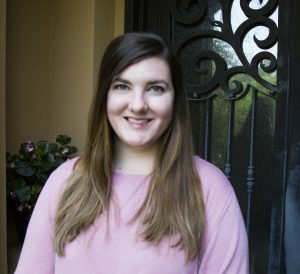 She started contributing to BeBossier.com during her internship with the Bossier Chamber of Commerce where she was constantly reminded of how much the city she grew up in is also growing right along with her. Chuck Smith is a long-time resident of Bossier and has worked for more than 30 years in television, radio and multimedia production. 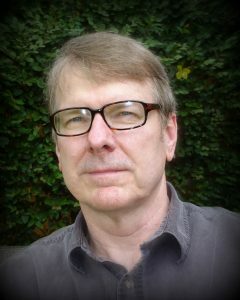 His broadcast career has led him across the country as he has been a producer and co-host of the popular TV news magazines: PM MAGAZINE (KSLA TV 1979-84), SKYLINE NEWSMAGAZINE (Virginia PBS 1982-88), METROLINA ILLUSTRATED (South Carolina PBS/ETV 1988-91), ArkLaTex WEEKENDS (KMSS 1992-94) and ArkLaTex DISCOVERY (Comcast/Suddenlink Cable 2006-09). He is also a freelance media consultant/webvideo producer for a range of clientele including healthcare technology developers and educational institutions. He has been a television and radio news reporter/producer and on-air host-announcer at stations all over the country. His hobbies include world travel, reading, photography and blogging. Hannah Sprawls is a Shreveport native with strong ties to Bossier City. Many members of her family happily call Bossier home, and she’s spent most of her childhood and young adult life bouncing around the twin cities. 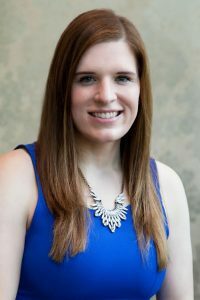 Hannah holds a bachelor’s degree in Mass Communications and is currently pursuing her master’s in Liberal Arts with a concentration in English. An avid reader and writer, she also blogs for Fairfield Studios and works at the Noel Memorial Library. When she’s not at work or in class, she prefers to spend her free time traveling with friends and family. Robin Rials Williams is originally from Lake Charles, LA and now lives in Bossier City. She currently works as the Event Management Executive Assistant at GDIT, the Social Media Manager for The Chocolate Crocodile and has a side-gig-biz for graphic design and social media marketing. 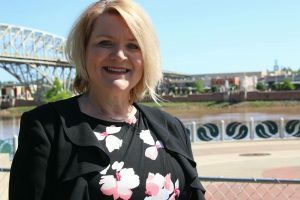 Robin serves as the Co-Chair for the Bossier Chamber of Commerce Diplomat organization, and as President of the Shreveport Bossier Attractions Association. Her most cherished and moment of personal growth in SB was being asked to speak at an All Y’all Live Storytelling event. When time allows, she writes her own blog: thatjust.com. Robin is an alumna of Bossier Parish Community College. She enjoys outdoor activities like fishing and kayaking. She has two grown children and one big fat cat, named Ziggy.